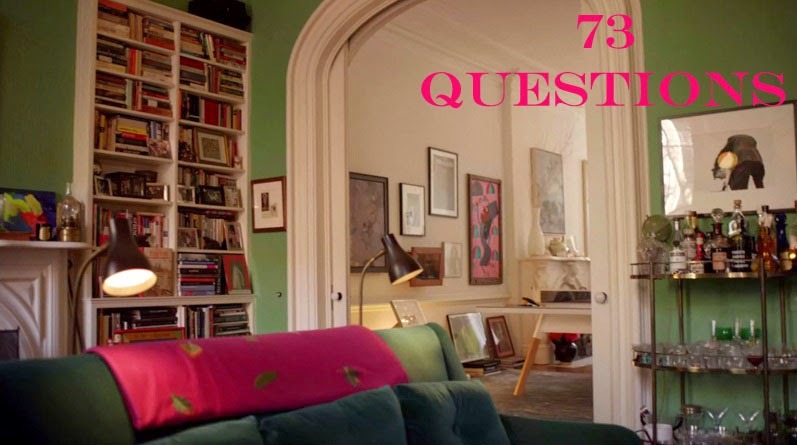 I am almost embarrassed to say that I had no clue about the 73 questions series that vogue is doing up until a few days ago. I completely love this series - the interviews are so fun with a few unexpected questions thrown in plus you get to see the inside of a few actors’ homes; this is definitely up my ally! I have to say I am slightly jealous of Sarah Jessica Parker’s bookshelves, her book collection and bar cart, how perfect are those elements for a cozy living room. Then Reese Witherspoon’s pool and in-ground trampoline is flat out amazing. Here are just a few of my favorite interviews from the Vogue 73 Questions Series! I never heard about this series too! I will be watching it as we speak! Thank you Lauren! I love this interview series, they are all so great! I didn't know about this either, cannot wait to read/see. It is a pretty cool interview series! thank you so much for sharing.. they all seem so down to earth and lovely! OMG I LOVE THIS!!! I had no idea either. Thanks for sharing. Reese is such perfection. I love her. Agree! She seems like such a nice person! I've seen the one with SJP but not Reese. She's so cute! Little Spoon as a rapper name? I love it. I loved all her answers. Her house is amazing. I want that leather sofa near the piano. Her house really is amazing and I love her backyard! Ooh I hadn't seen any of these before. I'm sure a fan of SJP so I especially enjoyed her interview. Thanks for posting these Lauren. I love SJP! I think she would be such an interesting person to hangout with in real life.